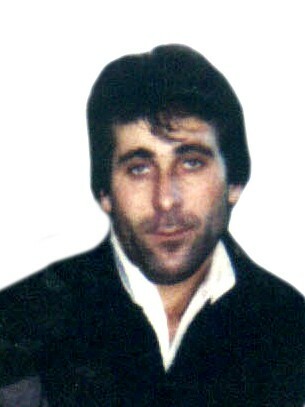 Tsechoev Girikhan Alikhanovich, 1967. kidnapped in July, 11, 2004. Tsechoev Girikhan was kidnapped in July, 11, 2004, at about 11:00 in the day,by members of Bamutskaya military commandant’s office,group of the major-general,Starkov,that operated near Muzhichi settlement,Sunzhensky district,Ingushetiya. The militarymen arrested Tsechoev Girikhan next to a bridge over Assa river on the outskirts of Muzhichi settlement. According to witnesses’ words, the militarymen gave Tsechoev Girikhan to FSB members and the FSB ones made him get in an auto «Niva»,white color,and drove in an unknown direction.The witness,Pigorev A.G.,by a photo shown to him to identify,recognized Tsechoev Girikhan as the man who was driven by FSB members. Since that time,Tsechoev Girikhan nobody has seen.Girikhan Tsechoev’s relatives have no information of his location and reasons of his kidnapping. Girikhan is married and has 6 juvenile children Гирихан. By fact of Girikhan Alikhanovich Tsechoev’s kidnapping (1967,living in Dzerzhinsky street, № 47,Ordzhonikidzevskaya stanitsa,Ingushetiya), the Sunzhensky district procuracy,Ingushetiya instituted legal proceedings by law articles of RF criminal code, № 126,part 1.